Being able to resolve disputes between your company and its customers, providing well documented financial data to auditors, and learning from your strengths and mistakes are key elements in improving and growing your business. However, no business owner can achieve this if the cloud-based phone system they use is not equipped with one of the most useful features: call recording. Although recording either incoming or outgoing calls from a handset, a computer or a smartphone has very strict laws with which each user must comply, it definitely makes your life easier and ultimately leads to better business performance and customer satisfaction. As a business owner recording your calls is highly recommended, especially if your business involves financial transactions where you are obliged by law to keep records of conversations that ultimately lead to transactions. 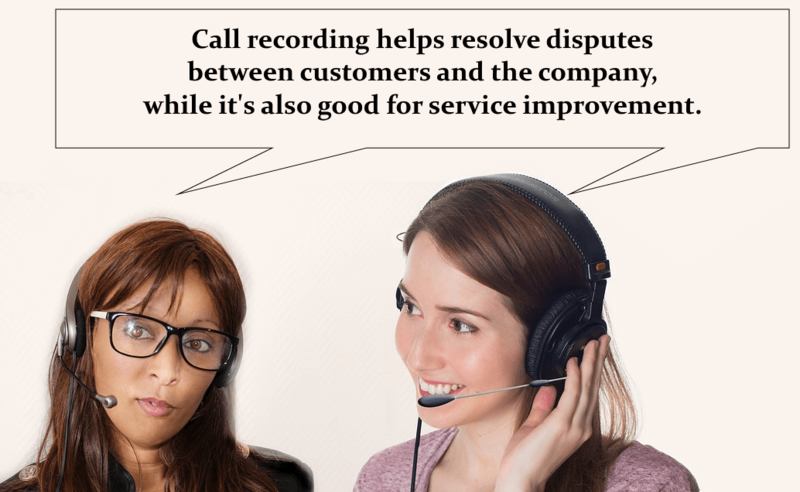 Another reason why call recording is beneficial is that it can protect both the business and its customers: since these interactions are stored via recordings both parties can prove their case should a dispute occur. Although all these comprise the most common explanations as to why calls should be recorded, consider that there are other purposes for using previously recorded conversations between co-workers and customers, too. One such purpose is the training of employees: by listening to these records, staff members can easily learn the tricks of successfully facing any kind of situation, learn the company’s processes, or simply improve their own skills by learning from past examples. In this sense call recording can even be used for employee evaluation, where the business owner or managers can listen to a recorded conversation to evaluate their overall performance and ensure required standards and process flows are being met. This leads to probably the most important use of call recording: quality assurance. By analyzing the calls, businesses are able to decide which areas are in desperate need of improvement and how to better satisfy customers. Unless you want to be tried in court for the severe violation of your caller’s privacy, you must explain to customers that you are recording incoming or outgoing calls. 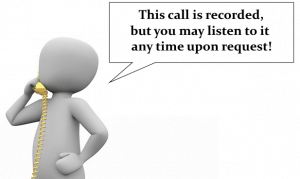 Disclosing this information to the other party only requires a small effort from you; in fact, you can record the warning about call recording and play it every time with the auto-attendant before the caller is connected to an operator. Still, there are other precautions to take as well to ensure that your records are created in compliance with the law. Inform customers that the recorded calls can be shared with them if requested within a certain period of time (usually a year or so) by referring to the number of the call or by giving the name of the operator and the time of the call. It is also important to assure callers that their conversations and personal data won’t be sold to third parties for advertising purposes. But, most importantly, you should make sure that calls are securely stored, whether online or offline, so that nobody besides the authorized employees of the company can access the recordings. Since call recording is a key asset for businesses, many cloud phone systems providers include this feature in their services either as part of the subscription or as a pay-only extra. No matter which company you pick – whether it’s MightyCall or Phone.com – you can rest assured that your calls are recorded and stored in a secure and professional manner. Although it is only available as a pay-only extra ($15 per month) the call recording feature of MightyCall is very advanced. First, it is possible to record both incoming and outgoing calls from a desk phone, the built-in softphone or even the mobile application. Second, you and your co-workers can determine whether the recording should start from the moment the connection is established or after the customizable warning and periodic tone has been played. All call records are accessible from the unlimited storage of MightyCall and can be searched in the call history via filters such as the time of the call, whether it was inbound or outbound, the employees taking the calls, or even the customers themselves. These records also appear as connected calls in the highly detailed call reports, which can be used to analyze business performance. However, the biggest advantage of MightyCall’s recording feature is that it is integrated into the company’s built-in task manager, Activities, meaning recorded calls can be easily turned into tasks to be resolved by you or your co-workers. Just like MightyCall, Phone.com also offers its call recording feature as a pay-only extra but, unlike its competitor, recording is available for a much more cost-friendly price: $4.95 per month. Sadly the cheapness of the price comes with a huge deficiency: Phone.com only allows you to record 300 minutes of both inbound or outbound calls. Despite its relative limited nature, Phone.com calls are recorded in a high-quality (from all devices connected to the system) and are stored in your call history for 13 months before being automatically deleted for security purposes. 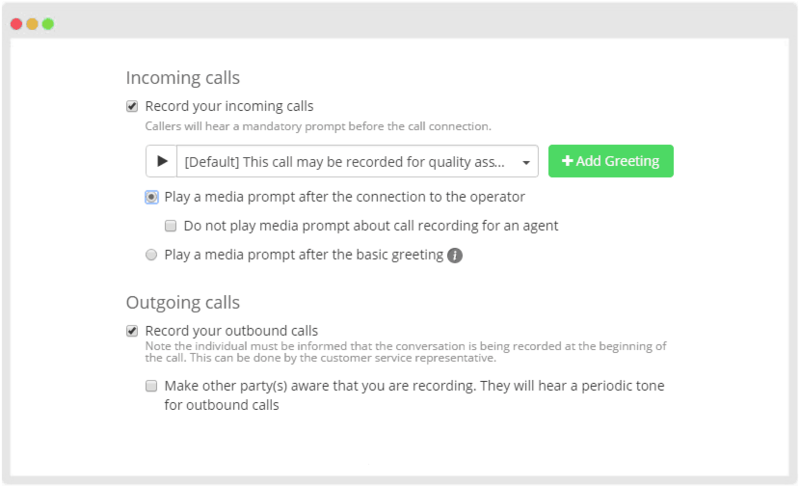 Users can determine the mode of recording, too: you can choose between keeping either incoming, outgoing or both types of calls, as well as set up phone numbers from which calls are automatically recorded once a connection is established. 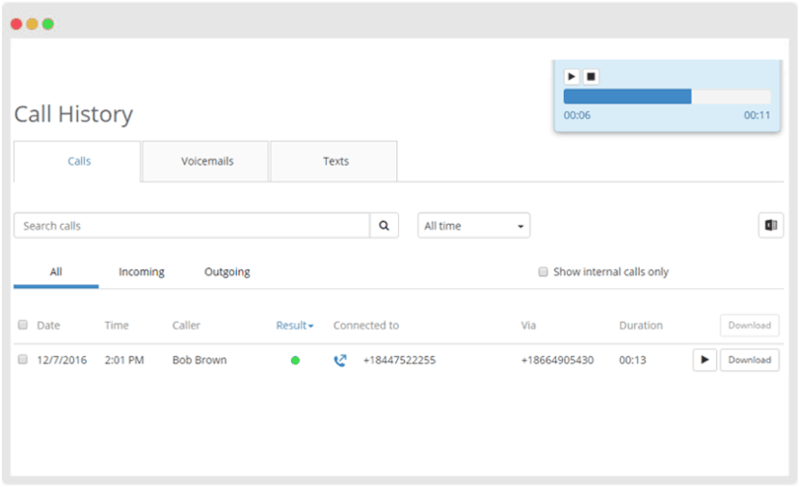 If call recording is not available as part of your VoIP service, there are still plenty of ways to properly record and store inbound and outgoing calls: namely via hosted call recording (cloud-based solutions), software and adapters. Cloud-based services record your calls and store them in the cloud without the need to install software or an app on your device. 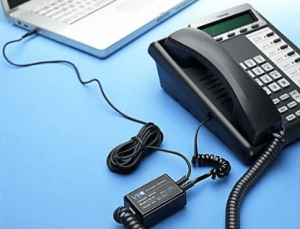 This is not the only reason why hosted call recording is the most convenient: they are often available with VoIP providers as part of their services. Sometimes it is possible to integrate third party apps into your existing VoIP system and record your calls with that solution, but this option is usually out of question due to the limited integrated features of cloud-based phone systems. And let’s not forget that storing past calls in the cloud requires extra storage space, meaning that you’ll need to pay an additional fee for using this feature. 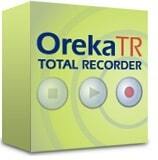 Another convenient method is to download and install software onto your computer or smartphone, some of which (like the open source solution Oreka) is available for free. These programs usually work in the same way by recording everything going through your device’s sound card – provided that you launch the program before recording. 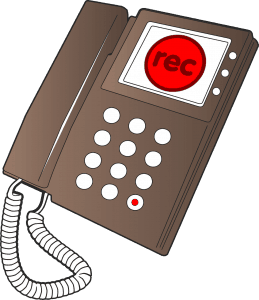 The advantage of having software doing the call recording is that it is possible to record multiple channels at the same time – which comes in handy during conference calls – set the program to remove silent moments, and determine the format, the quality of records and the folder they are saved to. The downside is that call recordings occupy valuable storage space on your computer, plus the software still needs to be configured in order to be able to integrate into your phone system. An easy method of recording your calls without the need to pay an extra monthly fee for a cloud-based service or software is by purchasing a device that connects directly to your handset and a computer. A huge advantage of these adapters – like the ones manufactured by VEC Electronics – is that all that needs to be done is to plug in the main phone cable into the device, connect it to a phone and a computer’s headset or USB port, install the dedicated program and then start recording calls. But just like in the case of software-based call recordings, there will still need to be free space on the computer in order to be able to store calls correctly.